Harry Winston, Inc. unveiled its New York Collection on September 20th with a star-studded event held at the world-renowned Rainbow Room in New York City. A softly-lit room paid tribute to the brand’s rich New York roots with thoughtfully executed vignettes that portrayed the proprietary nuances in Mr. Winston’s narrative pertinent to the City. 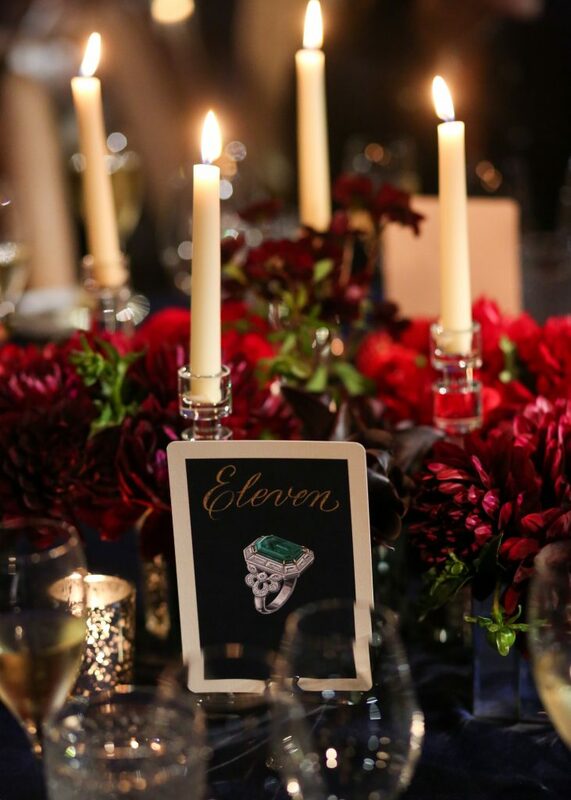 From the Brownstones of the Upper West Side, to the lush greenery of Central Park, to the City Lights of Broadway, to the famed design aesthetic of the House’s Fifth Avenue Flagship – the night was a true celebration of Harry’s New York. The evening was attended by notable stars in film and fashion, including actresses Naomi Watts and Katie Holmes, as well as global influencer Camila Coelho, all wearing pieces from the collection. At the conclusion of the night, guests were treated to a surprise performance from Grammy and Academy Award winning artist Jennifer Hudson. 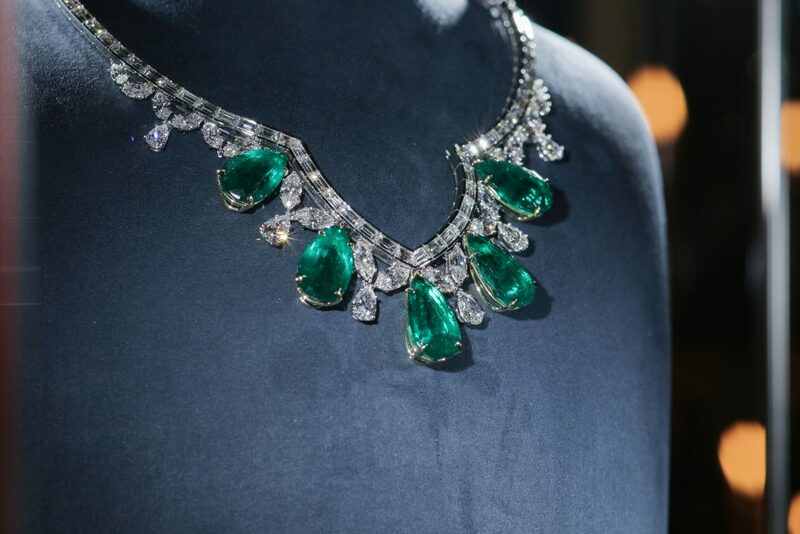 New York City, the epicenter of excitement and glamour, has been a source of inspiration for Harry Winston designers since the House first opened its doors in 1932. Examining the endless possibilities of the city, for its latest collection, Winston Designers embarked on a crosstown journey exploring the various neighborhoods, nuances and landmarks that shaped Mr. Winston’s life. A bejeweled love letter to the city that never sleeps, the New York Collection is comprised of eight sub-collections, with each celebrating a modern interpretation of the enduring legacy and symbiotic connection to the House’s roots. Demonstrating the unequivocal breadth and creativity of Winston design, each sub-collection presents a distinctively different aesthetic and explores the pioneering craftsmanship and setting techniques the House is best known for. · Brownstone – A tribute to the beautiful brownstones of the Upper West Side where Harry was born, baguette-cut, round brilliant and marquise shaped diamonds, accented by colorful square-cut gemstones, are artfully arranged in a geometric motif that recalls the stately architecture of Manhattan. 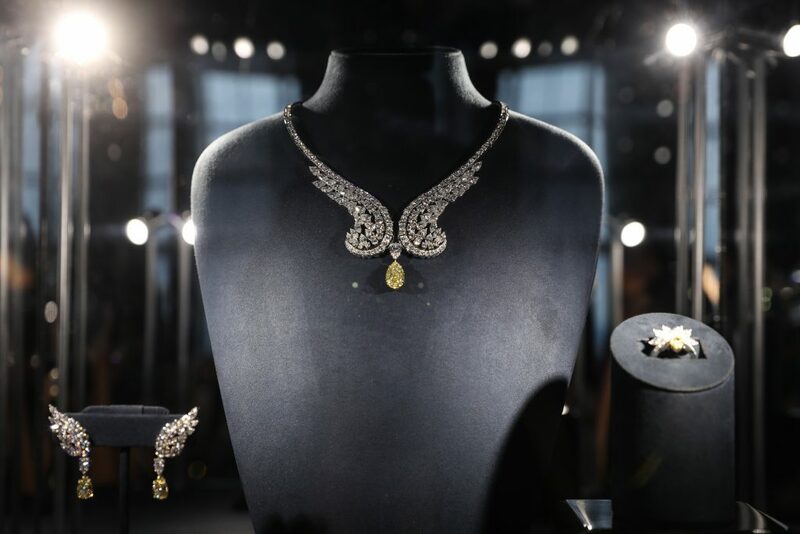 · Cathedral – Harry’s first location, as Harry Winston, Inc., was at 7 East 51st Street, directly across from New York’s famed St. Patrick’s Cathedral. 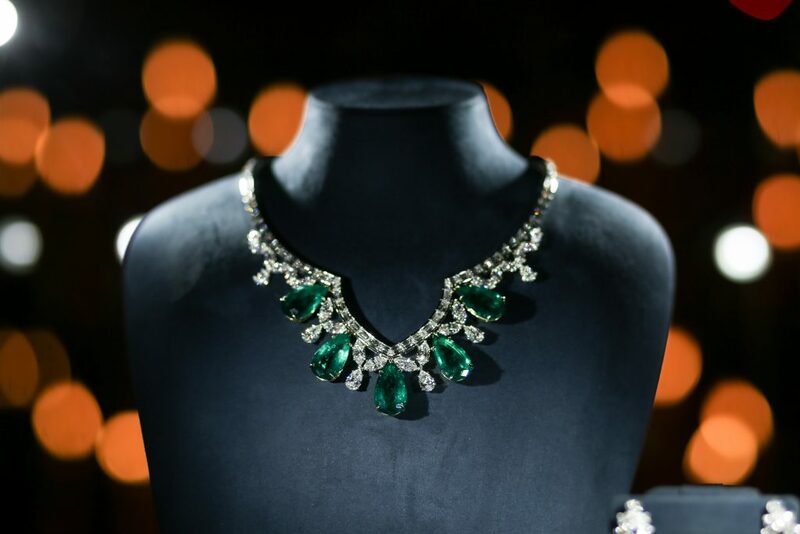 Mirroring the perfect proportions, extraordinary workmanship and architectural excellence of St. Patrick’s, the Cathedral Necklace and Earrings highlight the unequivocal beauty of pear-shaped emeralds and celebrate Winston design in its purest form. · City Lights – Married in 1933, Harry Winston and his beloved wife enjoyed their early life together as a young couple in New York City, often attending society events and Broadway shows. The City Lights pieces reimagine the lively lights of Broadway through colorful diamonds and vivid precious gemstones. 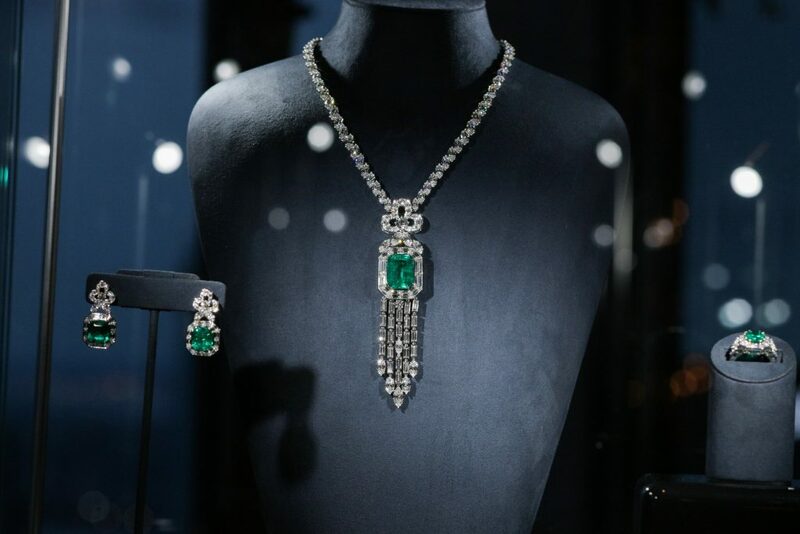 · 718 High Jewelry Suites – In March 1960, Harry Winston famously moved his company to 718 Fifth Avenue, at a time when New York City architecture was characterized by minimalist aesthetics. However, Harry – a true visionary – envisioned an eighteenth-century French-styled building as the perfect setting to display his collections. The 718 sub-series celebrates the historic charm and elegant details of the House’s iconic New York City Flagship Salon. 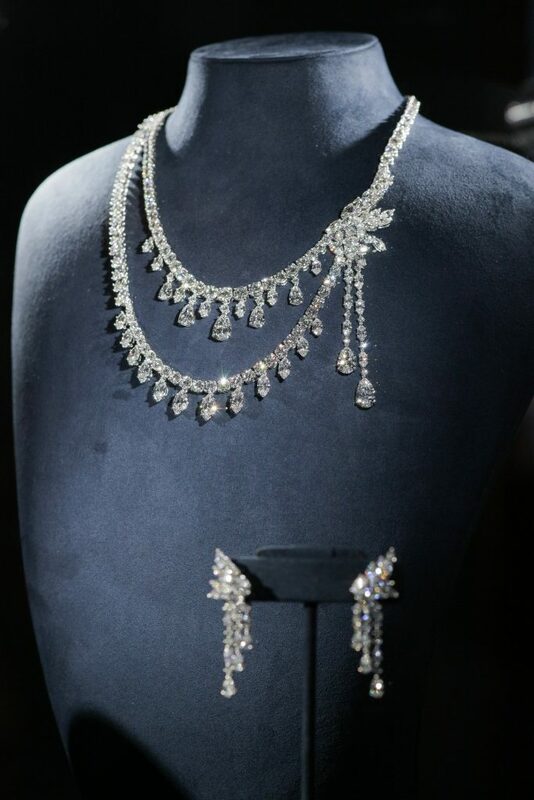 o The 718 Marble Marquetry – a diamond and sapphire series of necklaces, earrings and rings – draws inspiration from the black and white marble detailing of Harry Winston’s famed atelier, while the diamond-led 718 Chandelier high jewelry suite captures the glittering brilliance of the gilded bronze chandelier that hangs high above and illuminates the salon. 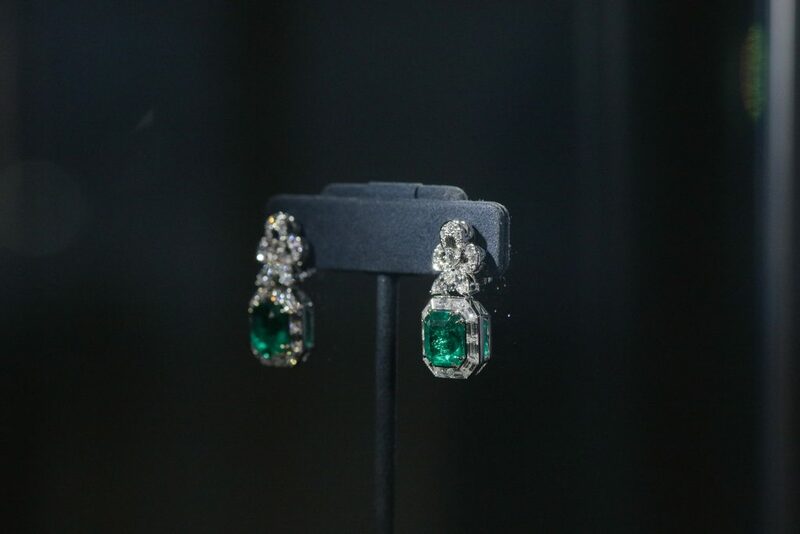 Recalling Harry’s favorite diamond- cut, as well as the seven gold-plated vitrines that lined the walls of the salon, the 718 Emerald Vitrine pieces pair Colombian emeralds with a bouquet of baguette, marquise and round brilliant diamonds. · Central Park Mosaic – Located just blocks away from his office, New York City’s prominent park, Central Park, often provided a fresh perspective to Mr. Winston and his designers, who were always looking to the beauty of nature for inspiration. Central Park Mosaic’s earring, bracelets and ring all feature emeralds, sapphires, diamonds and aquamarines set to mimic the extraordinary landscape of the city’s iconic backyard. 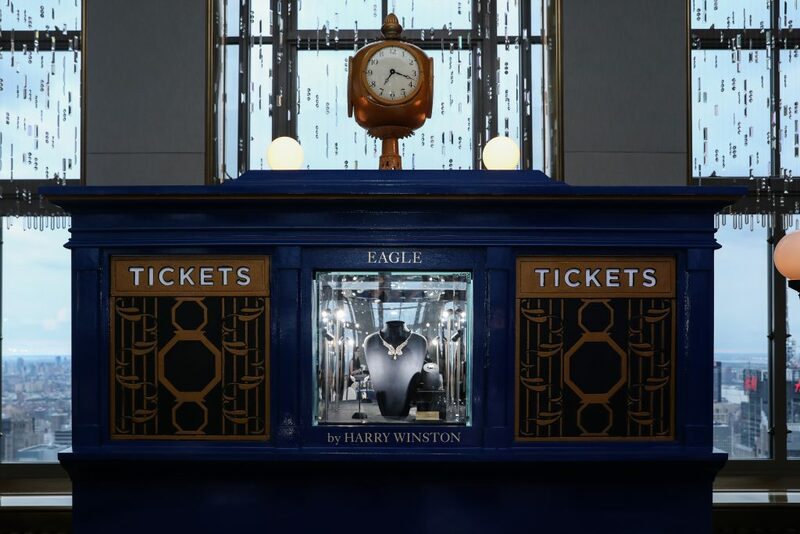 · Eagle – Throughout the early 1900s, cast-iron eagles adorned many New York City buildings, including the original Grand Central Depot – the city’s famed transportation hub – as a symbol of growth, flight and movement. The Eagle sub-series recalls the majesty of its namesake, with an extraordinary pairing of colorless and fancy yellow diamonds that are masterfully set to mimic a bird in flight, and underscores the House’s promise to its New York ancestry.